Join us for College Visions Recognition Ceremony! 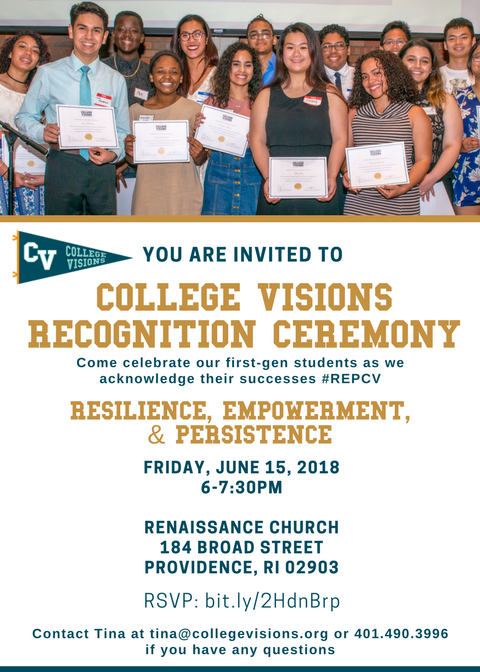 Please join us for our Recognition Ceremony and celebrate with the graduating College Visions class of 2018! Refreshments will be served and parking is available at the Crossroads parking lot.